W e may be Flood Damage Pro, but you don't have to have a flood to enjoy our services. Even the smallest areas of water damage can benefit from professional TLC. Like when the dishwasher overflows onto the wood laminate floor in the kitchen. Or a pipe bursts in the basement and starts to soak into the carpet. Even if you catch the problem quickly, you may not have the right equipment and supplies at hand to remove the extra water, clean the area, and make sure it will dry without a musty smell. No matter how small the water damage, feel free to call us. You don't need to have a disaster on your hands to benefit from our extremely effective methods and professional water damage equipment. You'll enjoy the peace of mind in knowing that your water damage was handled correctly. Every incident of damage receives our undivided attention. We'll take care of the water problem and make sure your business or home is clean and dry before we're done. When you call Flood Damage Pro, we'll be there fast to take charge of the situation. Call 866-869-4167 today. When you call Flood Damage Pro, you get all the benefits of our professional water damage restoration team, regardless of the size of the job. 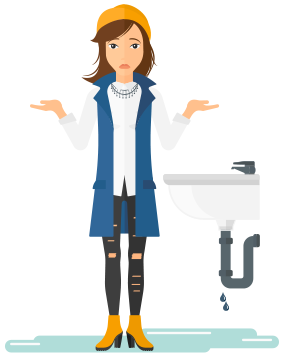 Even minor water damage can cause many problems for your property, aside from the obvious. Flood Damage Pro will help you prevent problems like mold that so often come hand in hand with water damage. We offer professional methods for mold prevention and mold remediation, including mold sampling and testing to make sure your property is completely safe. Flood Damage Pro can also take care of your home or business carpet cleaning needs. With carpet and rug cleaning and upholstery cleaning, we offer stain removal, deep cleaning, high traffic area cleaning, carpet and fabric protection, deodorizing and sanitizing. For the water damage restoration services you need, no matter how small, just call 866-869-4167. 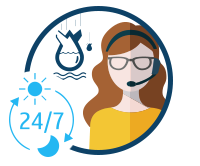 Our phones are staffed 24/7, so why wait any longer?